The folding power harrow combination drills are complete with a Front Tank that has uncompromised visibility with left and right front cameras as standard. 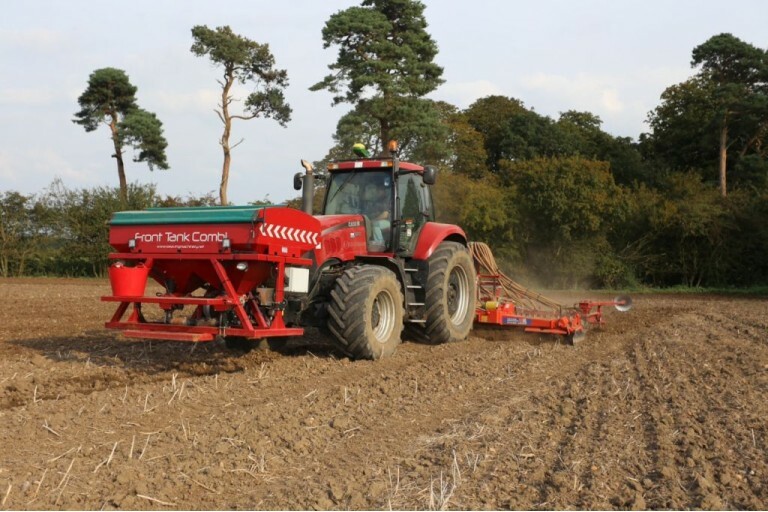 The toolbar consists of either standard auto-reset tines or auto re-set Sabre Tines for use in conventional drilling systems. 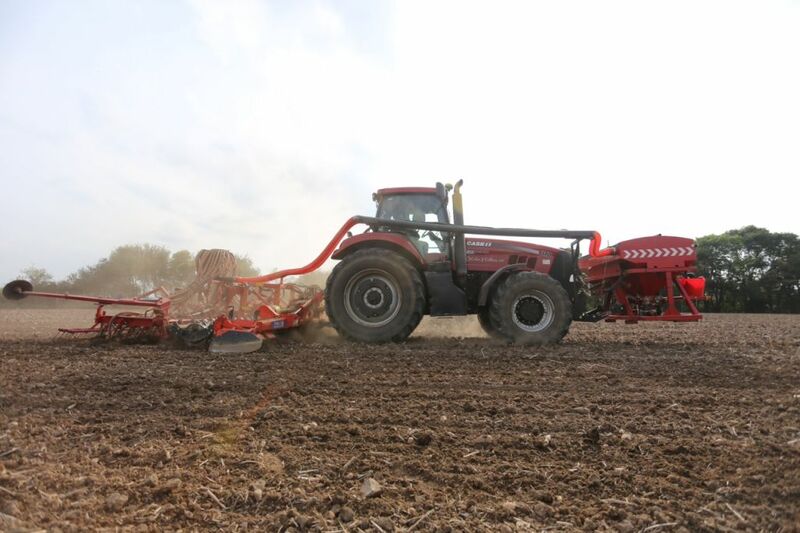 Either fitted to your existing power harrow or a new machine to complete the drill. 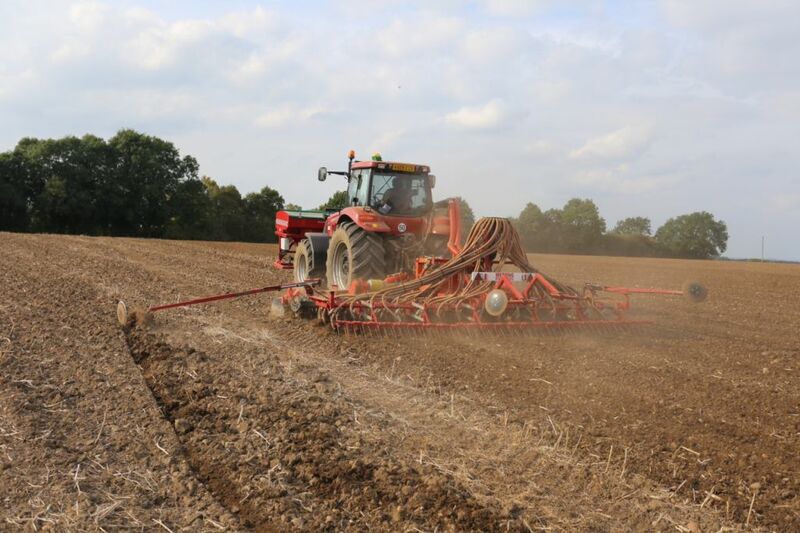 3 Rows of auto-reset tines - 8 tines per metre, 2 rows of following harrows, vertical hydraulic markers, hydraulic fan. 4M & 4.8M fitted with RDS Artemis Lite controls with GPS forward speed monitoring, 6M fitted with RDS iSOCAN controls with GPS forward speed monitoring and 2 metering units. 3 Rows of auto-reset Sabre Tines - 8 tines per metre, 2 rows of following harrows, vertical hydraulic markers, hydraulic fan. 4M & 4.8M fitted with RDS Artemis Lite controls with GPS forward speed monitoring, 6M fitted with RDS iSOCAN controls with GPS forward speed monitoring and 2 metering units. 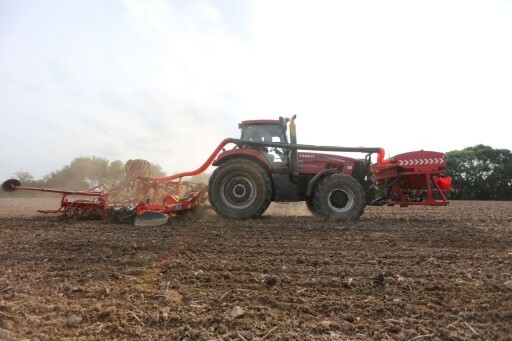 Does not include power harrow.